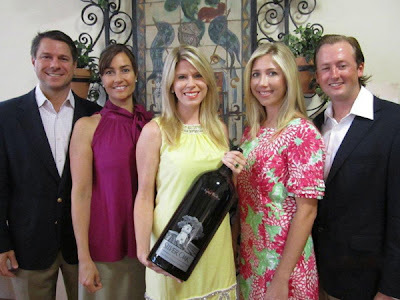 Meet the Boca Bacchanal Vintners: Swanson Vineyards - Purveyors of Things Fine...Mostly Wine! The mission statement of Swanson Vineyards is pretty straightforward: "to celebrate the simple pleasures in life, made better with wine." What's not to love about that? In case you were wondering, this is in fact the Swanson family that introduced the TV Dinner to the US in 1953, a groundbreaking innovation in the food business at the time. Following the sale of Swanson and Sons to the Campbell Soup Company in 1955, W. Clarke Swanson Jr. enjoyed a successful career as an entrepreneur in media and the community before planning a return to his family's agricultural roots. In 1985 Swanson purchased a 100-acre property on Oakville Cross Road in the heart of the Napa Valley. He obtained the consultation services of André Tchelistcheff, America's most influential post-Prohibition winemaker and, in the bold business style long associated with the Swanson name, planted Merlot in the heart of Cabernet Sauvignon country. The result was a “Cab-lover’s Merlot” that was extremely well-received and the Swansons, along with their winemaking team, continued to experiment with other lesser-known varietals such as Sangiovese, Petite Sirah, Semillon and Pinot Grigio. Winemaker Chris Phelps has been with Swanson since 2003 and brings with him an impressive and well-rounded pedigree. After obtaining his winemaking degree from University of California at Davis, Phelps trained with Christian Moueix at the famed Château Pétrus in Bordeaux. After returning to California, Phelps spent twelve years at Dominus and another seven at Caymus before joining Swanson. Swanson Vineyards is also very much a family affair. Swanson's wife of 42 years, Elizabeth, is the creative force behind the family winery known for her warm and marvelous style of entertaining and her artistic sense of design. Her title appropriately reads, “dream maker, tastemaker, opinion-maker, keeper of the most special fairy dust." In 1993 the Swanson's eldest daughter Alexis, the inspiration for their popular red wine of the same name, joined the family business as marketing director. Alexis is responsible for the whimsical tasting room the Sip Shoppe, a candy store for adults where visitors can sample a selection of Swanson's offerings in style. 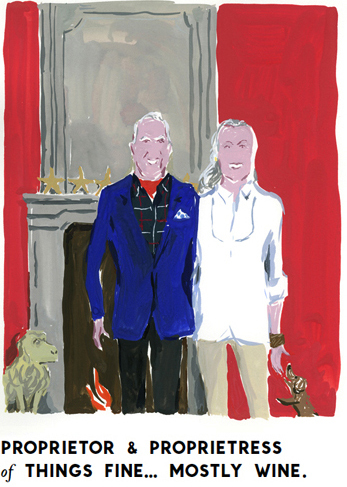 For this project, the Swansons collaborated with other purveyors of style including Kate Spade collection co-founder Andy Spade; renowned illustrator Jean-Philippe Delhomme who also did the fabulous illustrations for the Swanson Vineyards website; interior designer Thomas Britt; chocolatier Katrina Markoff of Vosges Haut-Chocolat; and singer-songwriter Vanessa Carlton. Swanson Vineyards will be represented at this year's Boca Bacchanal by none other than Clarke Swanson himself. 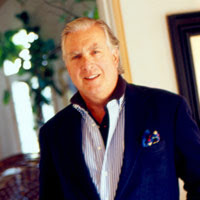 In addition to being a husband, father of three and founder of the family winery, Swanson is also Director of the Napa Valley Vintner’s Association, an overseer for Stanford University’s Hoover Institution, Vice President and Director of the Friends of the Lincoln Performing Arts Theater in Napa Valley and the former president of the Oakville Wine Grower’s Association. On Friday March 23rd, Swanson Vineyards will be paired with Chef Carlos Guia of The Country Club at The Wynn Las Vegas Resort for one of the six Vintner Dinners. You can also enjoy the fabulous wines of Swanson Vineyards at the Bacchus Bash on Saturday night and at Sunday's Grand Tasting. Hope to see you there! Meet the Boca Bacchanal Vintners: the Venetian Values of Masi Agricola! Hailing from Italy's Veneto wine region and owned by the Boscaini family for six generations, the primary aim of Masi Agricola is to emphasize the personality of their wines while maintaining a distinct Venetian style. In addition to preserving the traditional style, Masi also maintains a focus on technological advancement and continuously seeks to integrate the two. In 1958, Masi was in the forefront of the work to identify the historic "cru" vineyard sites for Amarone, the rich, Italian dry red wine made from the partially dried grapes of the Corvina, Rondinella and Molinara varieties. 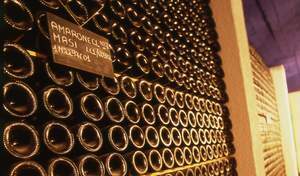 Masi even updated Amarone's style using new appassimento and vinification technologies. Appassimento is the traditional method used in the Venetian regions to give wines greater concentrations of aromas and flavours. The grapes are laid out to rest for a long time on bamboo racks before vinification. Implementing their modernized version of the process, Masi produces five Amarone wines and three Reciotos, made with "100% semi-dried grapes" which gives character to a series of "double fermentation" wines, of which their wine Campofiorin is the archetype. As far as white wines, the Masi Masianco, a white wine made from pinot grigio and verduzzo grape varieties, is an example of the technique of "blending wine made from fresh grapes with wine made from semi-dried grapes." Masi has also taken its expertise in appassimento out of its origins in Italy to Argentina, with Corbec and Passo Doble. In addition to its experimentation with principal grape varieties, Masi is also a pioneer in the experimentation and use of secondary Veronese grape varieties such as Oseleta, Dindarella, Croatina, Negrara and Forsellina. Over the years, Masi has earned the distinct recognition of having "revolutionized the art of wine-making in the Venetian region," and garnering the praise of revered British author and wine expert, Hugh Johnson, who defines Masi as "a touchstone for Veronese wines." The charming Tony Apostolakos will be representing Masi this year at Boca Bacchanal. 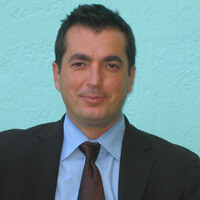 Tony is the Director of Marketing and Sales for the United States and spends a good deal of time with the Boscaini family and Masi Technical Group and remains entrenched in their winemaking techniques and global strategy. Born into the tradition of winemaking, Tony’s family owned vineyards in Greece dating back to the early 1900’s before his family immigrated to Montreal, Canada. 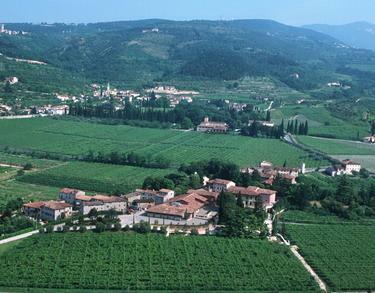 It was in Canada that Tony was first introduced to Masi in 1999 as he sold their wine in that market for over six years. 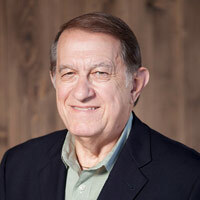 Given his extensive knowledge of the Masi wine portfolio and family traditions, Tony was presented with the opportunity to work directly for the esteemed winery in the United States as the regional sales director and immediately accepted . On Friday March 23rd, Masi will be paired with Chef Kevin Garcia of 'Cesca in New York City for one of the six Vintner Dinners. 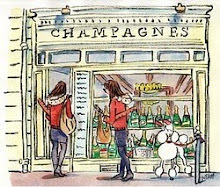 You can also enjoy Masi's fabulous Venetian wines at the Bacchus Bash on Saturday night and at Sunday's Grand Tasting. Hope to see you there! Meet the Boca Bacchanal Vintners: "Life is a Cabernet" at Silver Oak Cellars! Who knew when Ray Duncan first visited the Napa Valley in the late 1960's it would have such delicious consequences! Instantly smitten with Napa, Duncan immediately began purchasing land in both the Napa and Alexander Valleys; however, with a home and business in Colorado and no experience in viticulture he realized he couldn't go it alone. He reached out to a man by the name of Justin Meyer and asked him to plant and manage his vineyards. Meyer agreed on one condition: that they create a winery that would forever raise the standards of California wine. And so, in 1972 Silver Oak Cellars was born. 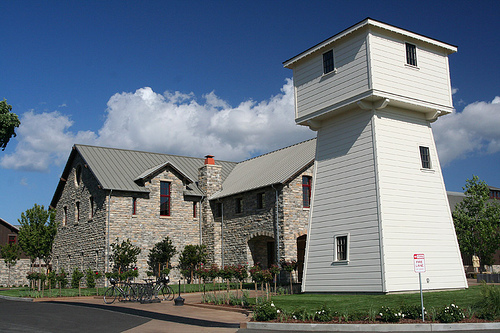 Named for its location at the intersection of the Silverado Trail and Oakville Cross, the partners of Silver Oak took an unconventional approach to their new winery. Rather than producing five or six different varietal wines like many wineries were doing, they decided to only produce one: Cabernet Sauvignon. They decided their wine would be a new style of Cabernet, drinkable the day it was released but one that could also age for many years to come. To achieve this, they decided on an extensive aging program for their wine of approximately 25 months in American Oak Barrels, and 15-20 months of cellaring in the bottle. Silver Oak's first release in 1972 was produced from fruit from their Alexander Valley vineyards: the initial release price was $6 a bottle! Seven years later they produced their first Napa Valley Cabernet Sauvignon and ever since, Silver Oak has produced two wines per vintage, the Napa Valley and Alexander Valley Cabs. Eventually they built two wineries, each devoted to producing just one wine. Despite a fire in 2006 that devastated their Napa Valley facility, they took the opportunity to create a new winery for Silver Oak's Napa Valley Cabernet Sauvignon that officially opened for harvest in 2008. In 1994, Justin Meyer selected Daniel Baron to succeed him as winemaker and sold his shares of the company to the Duncan family in 2001. The family continues to carry Ray and Justin’s vision forward, with Ray’s son Tim serving as Executive Vice President and his son David serving as the winery’s President and CEO. Also, in 1999 Ray Duncan and his four sons created Twomey Cellars with the same philosophy he and Justin Meyer had for Silver Oak: to create food-friendly wines that are deliciously drinkable upon release. However, instead of focusing on only one grape variety, at Twomey Cellars they produce three: Sauvignon Blanc, Pinot Noir and Merlot. 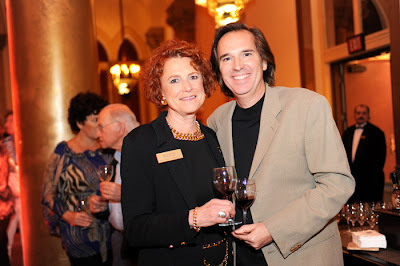 The delightful Tom Johnson will be representing Silver Oak this year at Boca Bacchanal. Tom has worked for Justin Meyer and Ray Duncan since they were owners of Franciscan from 1976-1980. When approached by Justin Meyer to join Silver Oak, Tom agreed, because he knew that joining Silver Oak meant becoming part of a very special wine family. On Friday March 23rd, Silver Oak will be paired with brothers and Chefs Erasto and Pablo Jacinto (of Jacinto's Kitchen in Santa Rosa, CA and the The Grill at the Silverado Resort and Spa in Napa respectively) for one of the six Vintner Dinners. 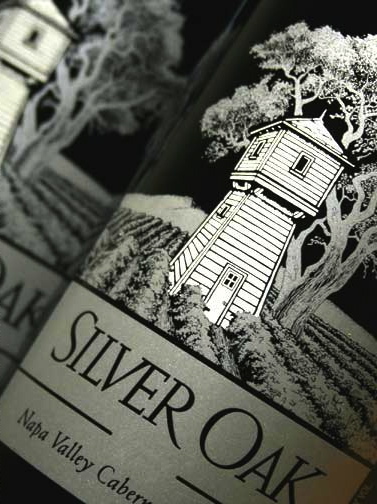 You can also enjoy the wines of Silver Oak at the Bacchus Bash on Saturday night and at Sunday's Grand Tasting. Hope to see you there! 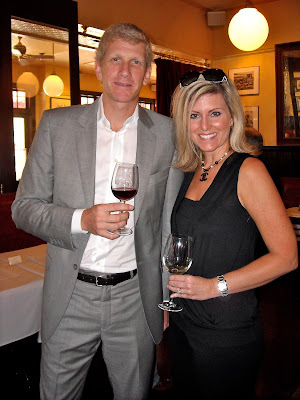 Meet the Boca Bacchanal Vintners: Burgundy's Maison Joseph Drouhin! With the kickoff to the 10th Annual Boca Bacchanal just over a week away, I thought I'd take this opportunity to introduce you to our wonderful vintners who'll be participating this year. First up is Maison Joseph Drouhin hailing from Burgundy, France one of the worlds most renowned wine regions. Laurent Drouhin, one of Joseph Drouhin's four grandchildren, will be representing his family's wines at Boca Bacchanal this year. 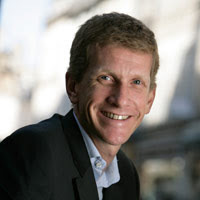 Laurent and his three siblings (Philippe, Véronique and Frédéric) represent the fourth generation of the family and are all involved in the operations of the family estate. Maison Joseph Drouhin was founded in 1880 and is one of the largest estates in Burgundy, including over 182 acres of vineyards in Chablis, Cote de Nuits, Cotes de Beaune, and Cote Chalonnaise. More than two-thirds of the estate's vineyards are classified as Premier and Grand Cru and with close to 90 different appellations, the estate offers a very comprehensive array of Burgundy terroirs. 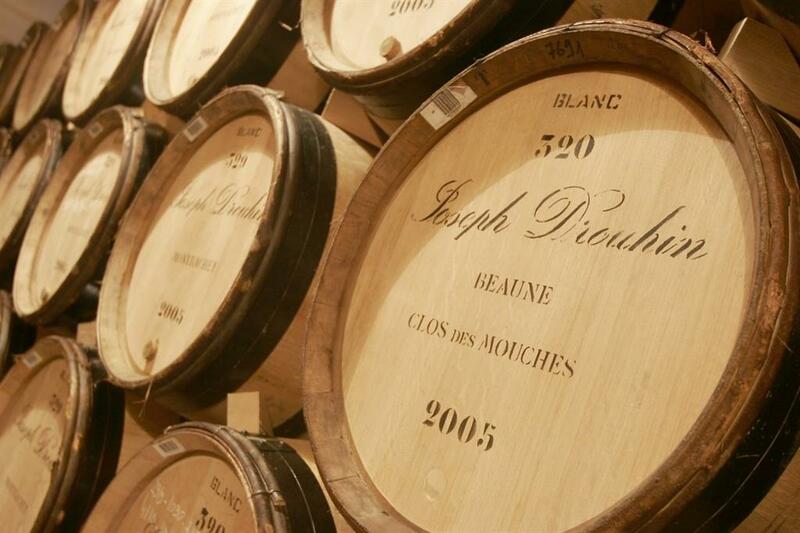 Maison Joseph Drouhin is known for crafting wines that are reflective of their individual terroir and vintage, and in a sincere effort to preserve the individuality of each appellation, the Drouhin firm constantly strives for wines of breed, finesse and elegance. Responsible agricultural practices are also very important to the family, which subscribes to an organic and biodynamic approach. Only natural products are used in the vineyards and the soil which reflects the family's dedication "to bring natural answers to natural problems." In recognition of its ecologically responsible practices, Maison Joseph Drouhin was awarded Organic Certification for all grapes grown within its vineyards starting with the 2009 vintage. This certification comes almost twenty years after organic practices were introduced by Philippe Drouhin in the early 1990's, shortly after joining the family estate. I recently had the opportunity to meet Laurent and taste through Maison Joseph Drouhin's offerings from the 2009 vintage. Like many years ending in a "9" (1999, 1989, 1969, 1959 and 1949), 2009 proved to be quite exceptional. While not an "easy" vintage, the end result was wines with a lovely expression of fruit and great structure that beautifully reflected their respective terroirs. Although enjoyable now, the 2009's have excellent potential for aging as well. Some personal favorites of the 2009's were whites such as the Chablis Grand Cru Vaudesir which Laurent suggested pairing with scallops or even tuna tartare with wasabi. For the deliciously creamy and divine Clos des Mouches Premier Cru Blanc he suggested the simple (yet decadent) flavors of grilled lobster with butter, salt and pepper. Among the reds, the Volnay was light and lovely and perfect for pairing with a selection of charcuterie while the elegant and seductive Chambolle-Musigny was a natural pairing for game. On Friday March 23rd, Maison Joseph Drouhin will be paired with Chef Ken Frank of La Toque for one of the six Vintner Dinners. You can also enjoy these Burgundian beauties and sample the stellar 2009 vintage at the Bacchus Bash on Saturday night and at Sunday's Grand Tasting. Hope to see you there! Get Ready to Revel! 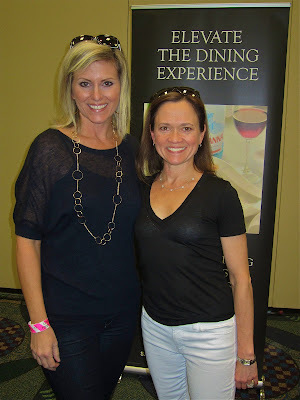 It's Time for the 10th Annual Boca Bacchanal AND a Grand Tasting Ticket Giveaway! Revelers at the 2011 Bacchus Bash! 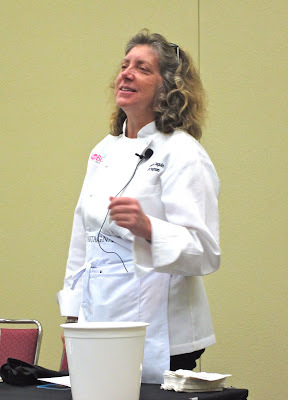 Get ready to revel, my fellow wine and food lovers! 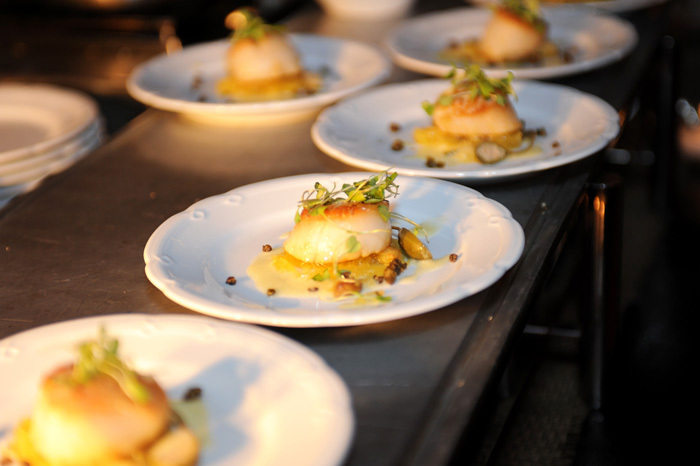 We have a fabulous lineup of Vintners and Chefs joining us for our tenth anniversary. Our Vintners include Tony Apostolakos of Masi Agricola, Veneto, Italy; Laurent Drouhin of Maison Joseph Drouhin, Burgundy, France; Dennis Koelewijn of Bodegas Salentin, Mendoza, Argentina; Tom Johnson of Silver Oak Cellars and Twomey Cellars, Napa, California; Clarke Swanson, Swanson Vineyards, Napa, California; and Anthony Truchard, Truchard Vineyards, Carneros-Napa, California. Our talented Chefs include Kevin Garcia of Cesca, New York, NY; Michael Tuohy of Dean & Deluca, St. Helena and Napa, CA; Ken Frank of La Toque, Napa, California; Ken Vedrinski of Trattoria Lucca, Charleston, SC; Carlos Guia of The Country Club at Wynn Las Vegas Resort, Las Vegas, NV; and Pano Karatassos of Buckhead Restaurant Group: Kyma, Atlanta, GA, Chops Lobster Bar and City Fish Market, Boca Raton, FL. 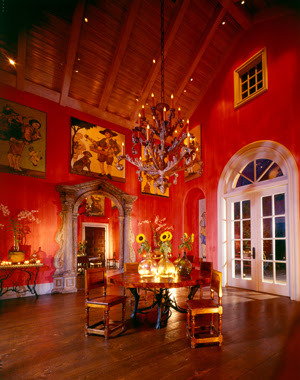 The Boca Bacchanal weekend kicks off Friday night with Vintner Dinners hosted in beautiful private residences that are each paired with a featured Chef and Vintner. Steve and I are pleased to be co-hosting a dinner again this year at the Seagate Beach Club featuring the wines of Maison Joseph Drouhin and the cuisine of Chef Ken Frank of Napa Valley's La Toque restaurant. 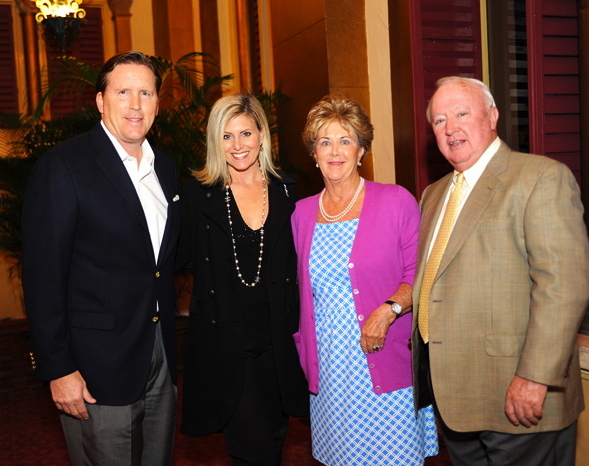 For more information on the Vintner Dinners or to purchase tickets, please click here. 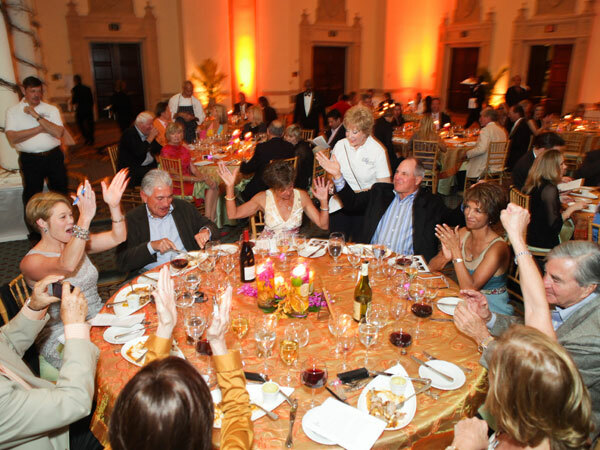 Saturday night is the Bacchus Bash, an extravaganza of food and wine Chaired by Joyce and Thom DeVita. 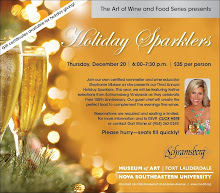 Here you will join our six fabulous Chefs and Vintners as they prepare and pour selections for your enjoyment during a lively and festive reception followed by a multi-course feast prepared by Boca Raton Resort & Club Executive Chef Andrew Roenbeck. The evening's not-to-be-missed silent and live auctions will feature amazing wine, travel, dining and lifestyle lots including: "Swanson Vineyards Sensational Savor and Stay," "Masi Agricola: Veneto Beckons," and a very special lot from Silver Oak Cellars just to name a few. Also, be sure to bring your dancing shoes for the posh, postprandial "Rock your Bacchus" after party. For more information on the Auction items or to purchase tickets to the Bacchus Bash, please click here. The weekend concludes with Sunday's Grand Tasting at Mizner Park Amphitheatre Chaired by the Dream Team of Jay and Melissa Whelchel, Morgan and Oliver Green and Kelli Bloechinger and Brandon MacLeod. At this event you can stroll and sample delicious dishes from 30 local chefs and enjoy over 140 wines including those from our six featured vintners. You can also shop for culinary delights including herbs, produce, oils and gourmet specialty foods at "The Marketplace." For more information on the Grand Tasting or to purchase tickets, please click here. Now for the giveaway! This year I'll be giving away 2 tickets to Sunday's Grand Tasting on Sunday, March 25th at Mizner Amphitheater - a $200 value! Entering is easy and I only ask two things: 1) please leave a comment below and share with me your favorite everyday wine - that bottle you like to open when you get home from work or enjoy on a relaxing weekend and 2) stop by The Glamorous Gourmet Facebook page and give it a "Like" which will keep you up to date on upcoming events and the latest blog updates (click here to go immediately). The winner for the giveaway will be drawn at random and announced on Sunday, March 18th - one week prior to the event. I appreciate your participation and best of luck! I hope to see you at any of our amazing events this year where you can sip, savor and bid for a good cause. Proceeds from Boca Bacchanal benefit the Heritage Education and Historic Preservation Programs of the Boca Raton Historical Society. These programs provide innovative, diverse and rapidly growing programs for Boca Raton area residents and visitors. Thank you in advance for your support!